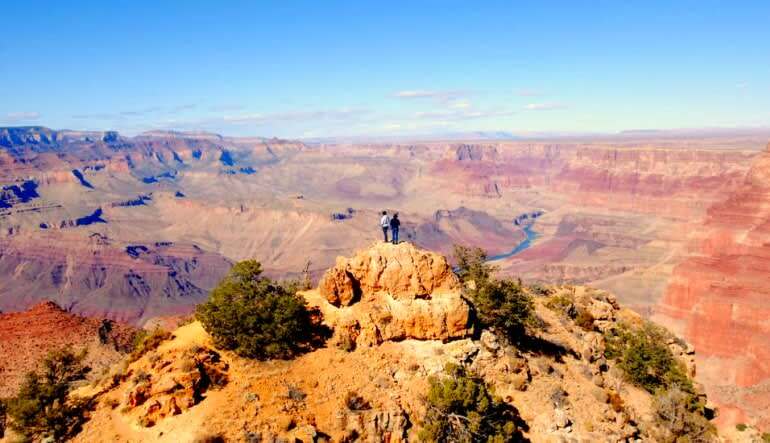 Experience the Grand Canyon the way it was meant to be, hands on and delving into the depths and marvels of its remarkable interior on a full day Grand Canyon Hiking tour. Why just see the wonders of the Grand Canyon when you can truly explore them? 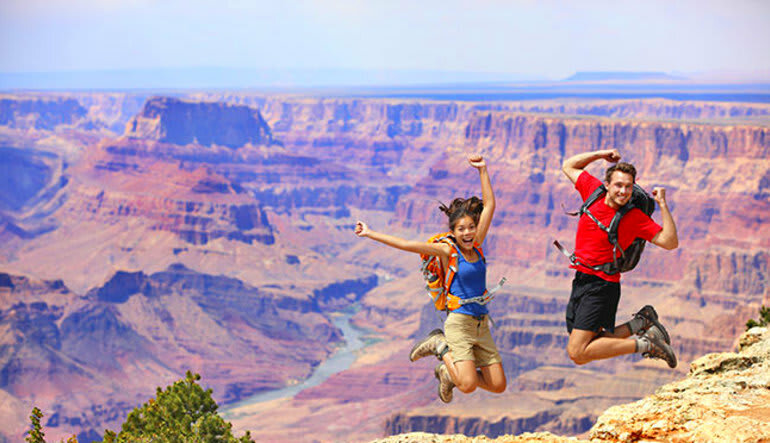 There’s no better way to genuinely experience the magnificent Grand Canyon than on a full day bus and hike tour. Lead by knowledgeable, certified naturalist guides, your amazing expedition begins before you even reach the canyon! As you make your way towards the Grand Canyon, you’ll drive through scenic Oak Creek Canyon, called the Grand Canyon’s smaller cousin because of its stunning beauty, before making your way past the San Francisco Volcanic Field, home of Sunset Crater and Humphrey’s Peak, the tallest peak in Arizona and a one of Arizona’s many extinct volcano formations. 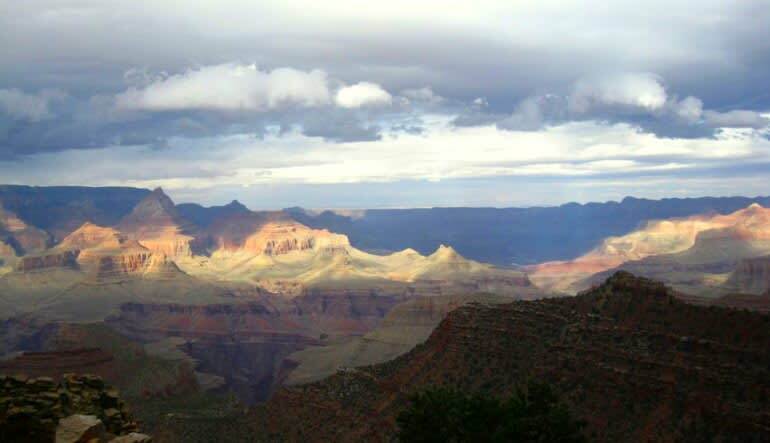 Then it’s off to the great Grand Canyon itself to discover the breathtaking splendor of America’s most famous natural attraction along one of the South Rim’s premier hiking trails. You’ll pause mid-day to take a moment to refresh and reflect with lunch at the Maswik Lodge. After lunch, it’s time to continue to explore the interior of the canyon and all of its secrets, either by continuing on your hike along the rim or by touring nearby Grand Canyon Village and Lipan and Moran Points. You may even have a chance to encounter some of the wildlife of the Canyon, including America’s endangered California condor.